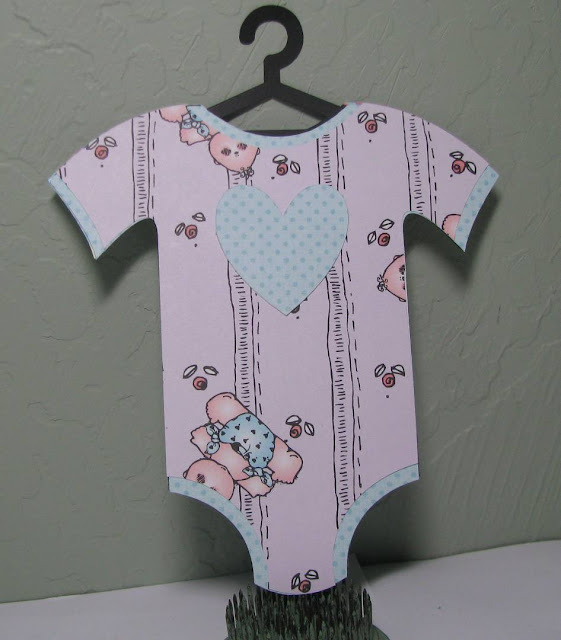 Make a project that is all about a baby! Canvas Corp Brands Shop is a one stop shop for all that is Canvas Corp (Canvas Home Basics), 7gypsies and Tattered Angels. We also produce Ken Oliver and Brutus Monroe products. You will find our complete product line available for shipment worldwide. All packages ship from our Springdale, Arkansas facility. The winner will receive a $10 Gift Certificate! and in the back a gift card! Cricut cuts: onesie (Nine Months, cut at 5 1/4" wide, 6 3/4" tall), heart (Cricut Access Shapes). Paper: purple baby paper (DJ Inkers), blue dot (Bo-Bunny), black cardstock. Before assembling, make a slit in back for gift card to be inserted. 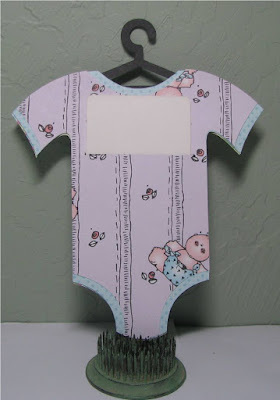 Glue only the very outer edges so gift card isn't difficult to insert. So easy! 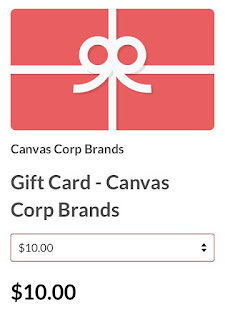 Make sure you enter to win that great gift certificate from Canvas Corp! Very cute! What a special way to present a gift card! Die Cut Diva's Anything but a Card Challenge!